Supplying over 30 jobs per month! Save your wallet from expensive gutter replacement costs resulting from a blockage in your gutter. Invest in a reliable leaf guard gutters today to protect your house gutters from damage. Easy Fall Guttering is your trusted partner in solving your guttering problems. Our innovative range of guttering products is guaranteed to solve your guttering woes. For more information, call us on 1800 897 444 and request a free quote today. If you’ve ever experienced the hassle and headache brought by clogged house gutters, you would most likely not wish to deal with it ever again. Especially if it caught you unaware during extreme weather, a clogged gutter will not only damage itself but also affect your walls, floors and foundation. Fortunately, there is a neat solution to prevent your gutter from collecting too much debris. 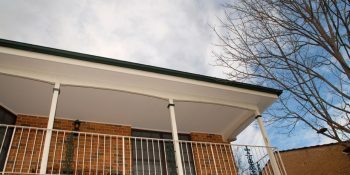 You can avoid future gutter replacement costs by installing a leaf guard Sydney product. 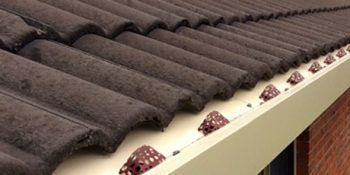 What are leaf gutter guards? The effectiveness of your gutter guard depends on the type you use and the environment around your home. It can also depend on whether you have an effective drainage of water under the leaf guard, by using guttering systems that enable correct fall (such as the Easy Fall Guttering System). This type of leaf guard is made with bristles that look like pipe cleaners which collect leaves and debris while water flows underneath. Brush guards work well with larger debris but smaller debris and dirt can still cause buildup. It can also be difficult to remove all of the debris when cleaning. These are made with metal sheets with large holes that are relatively easy to install. Some leaves may remain on top of your gutter. Smaller debris may also enter if they are smaller than the holes and may need to be removed if they build up in your gutter. This nontraditional gutter guard is designed to use rainwater’s surface tension and guides it through a curve into the gutter. You usually cannot install these by yourself. Water may not fall through the gutter in high volumes if they are designed poorly. This screening leaf guard is made with a metal sheet with very tiny holes that let water pass through while keeping even the tiniest debris out. Almost no debris will be able to penetrate into your gutter, however, a build up of dirt will necessitate regular removal and cleaning under the mesh (to avoid a gutter garden sprouting). The alternative to these out-dated and problematic leaf guards, is the Easy Fall Leaf Guard. The back of the leaf guard is higher than the front – which stops water from backing into the eaves. The raised filters (4 per metre) allow for a continuous flow of water – preventing dirt from building up, whilst preventing larger debris from entering the gutter below; and the shallow dish effect of the design allows for leaves to readily blow away in the wind, or easy removal by using a leaf blower or brush. For a reliable, quality leaf guard made from Colorbond ® Steel, – don’t settle for less! Sydney’s number one choice is the Easy Fall Leaf & Ember Guard System. 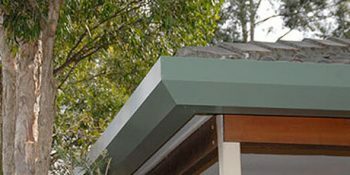 For more information about our Sydney guttering system, call us on 1800 897 444 and request a free quote today. Please submit the following information if you would like one of our representatives to come out and give you a no obligation free quote.